Ever since the global economy hit rock bottom last year, corporates have been turning to the capital markets in their droves to raise finance and plug funding gaps. With hybrid securities such as convertible bonds offering greater choice for issuers, Barclays Capital’s Mark Lewellen, Simon Ollerenshaw and Sam Dean explain to FDE that now may be the time to rethink capital structure. The capital markets have gone through considerable change since the end of 2008, when the corporate debt market was closed to most issuers and equities markets around the world were tumbling. The markets have come through a period of great pressure and are once again providing healthy funding opportunities for corporates reassessing their capital structure. Debt markets have opened to a much broader range of companies and there is no longer any shame in issuing equity. ‘Following Lehman Brothers’ collapse, the new issue market was dominated by a flight to quality, with the largest and better-rated corporate names issuing to secure liquidity,’ says Mark Lewellen, head of Corporate Origination, EMEA, Barclays Capital (BarCap). ‘Now there has been a remarkable rally in credit spreads and we are seeing the largest array of corporate bonds across industries, geographies and credit ratings, including high yield and even unrated. The financial crisis saw an unprecedented level of liquidity pumped into the market, and institutional investors now need a home for the liquidity. They have to generate yield returns,’ he adds. BarCap has seen the change in the market first hand, having been heavily involved as a premier arranger of securities, not only the debt market but also in equity markets, which have also seen a significant reversal of fortune this year. ‘Roll the clock back to the darkest moments of February and markets were under a lot of pressure, especially the banking sector. But there was a dramatic swing of sentiment when people realised governments would do whatever it took to solve the crisis. The banking sector recovered, then the buy side became less negative about the global economy,’ says Sam Dean, BarCap’s co-head of Global Finance EMEA. ‘We saw fundamental, long-term buyers quickly step in and soon the whole market realised that equity valuations had reached an extremely attractive level, since when of course we have seen an extraordinary market-wide rally. Companies looking to deleverage have found a willing audience in equity investors, with equity markets demonstrating the flexibility and capacity to get even ambitious deals done. No company likes to issue equity to redress the capital structure unless they have to, but with so many companies doing it in so many sectors, the stigma is much reduced. Indeed, in many cases equity investors have encouraged companies to simply "get on with it", so refinancing concerns are taken off the table once and for all. We have frequently seen the trend of one company in a sector raising equity, and then a flurry of other deals in the same sector soon following,’ he adds. Investors have shown themselves willing to buy into good value in debt and equity, but the financial crisis has caused them – and many issuers – to broaden their horizons as they look at the options in the securities markets. ‘A major trend in the past two years, driven by the reduced availability of credit, is that issuers have been looking at a broader range of securities, so we are seeing more convertible bonds. There have been many more investment-grade issues since March. The bond market was charging spreads that issuers didn’t consider justified. As credit markets have improved we are seeing more borderline or sub-investment-grade convertibles issued,’ says Simon Ollerenshaw, BarCap’s head of European convertibles origination. ‘On the buy side, we see a better balance between outright money and hedge fund money. Fixed income money is buying into convertibles to get the equity upside, and more equity money is coming in, because it is a defensive way to buy equities. This will be a strong market for the next three or four years,’ he adds. There may be a new prevailing attitude to risk in light of the financial crisis, and some may fear that equity markets, for instance, have overshot. Yet recent months have shown growing appetite on the buy side and issuer side. BarCap’s experts certainly believe that CFOs would do well to look at the opportunities across the securities markets now. 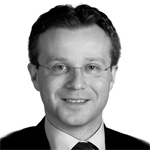 Mark Lewellen, head of Corporate Origination, EMEA, Barclays Capital (BarCap). 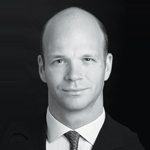 Simon Ollerenshaw, BarCap’s head of European convertibles origination. 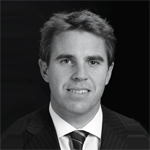 Sam Dean, BarCap’s co-head of Global Finance EMEA.